Mother’s Day gifts can be tricky! You want a gift that tells your mom how much you love and appreciate her, but you also don’t want to give her candy that she can go buy herself at the store. Here are 10 thoughtful and fun gift ideas to help you make sure Mom feels special this Mother’s Day. 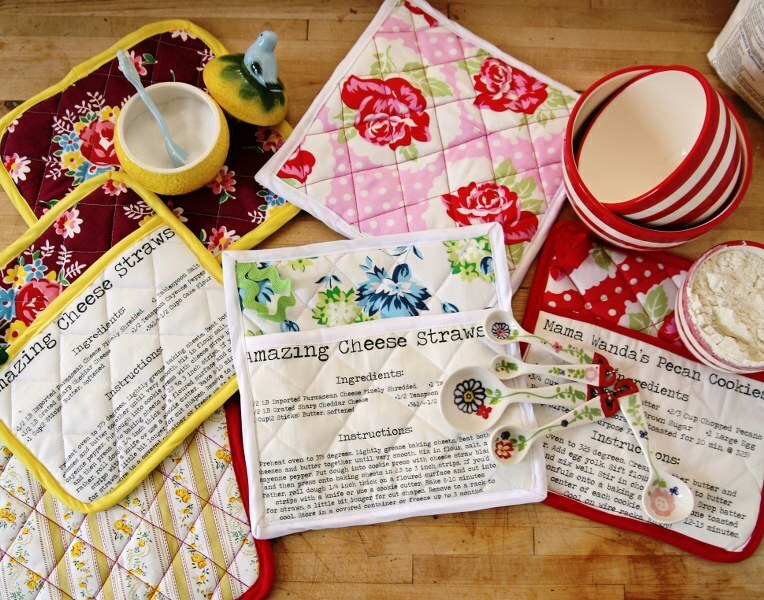 Hit the spot with these DIY potholders! Giving household accessories as gifts can sometimes seem impersonal. However, there are a few useful accessories that I think you can never go wrong with giving. These cute DIY potholders are definitely one of those gifts. Choose a fabric or pattern that you think your mom will particularly enjoy and your gift will be all that much more special. Instructions found here. 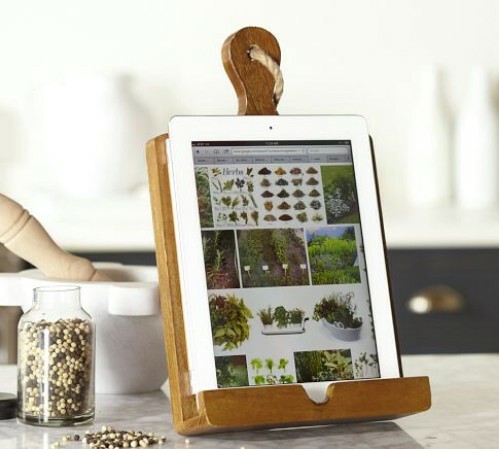 Whether you mom is a cook, or just wants to add some cute decorative flair to her kitchen, this handmade tablet or cookbook stand will be a Mother’s Day hit either way. 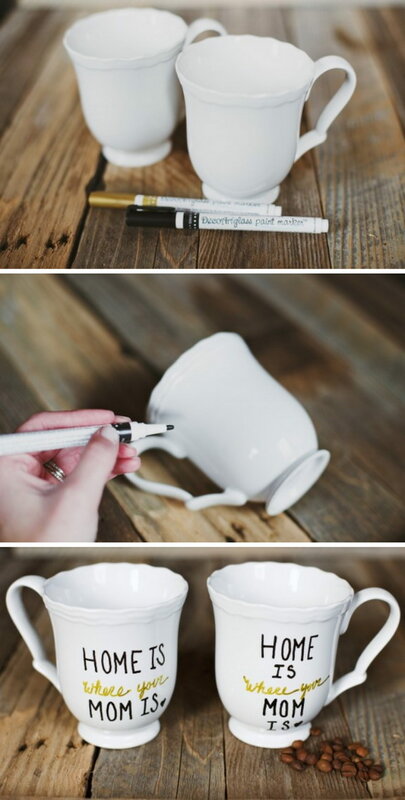 Idea found at DIY N Crafts. Step aside retail body sprays… Mom’s getting something a bit more personal this Mother’s Day! 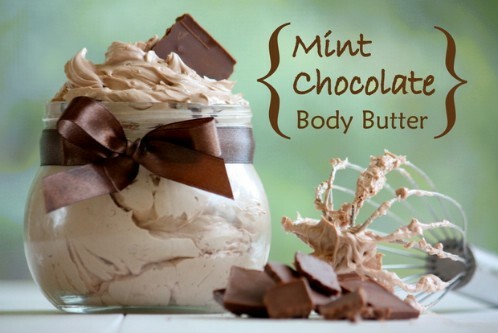 This homemade Mint Chocolate Body Butter is such a fun alternative to the oh-so-common sprays and lotions bought from the store. 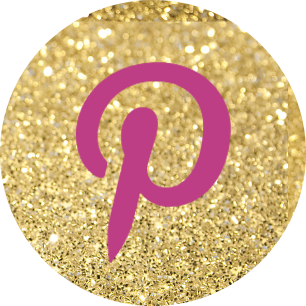 Find the recipe from Mommypotamus. With Mother’s Day comes warmer weather and sandals. 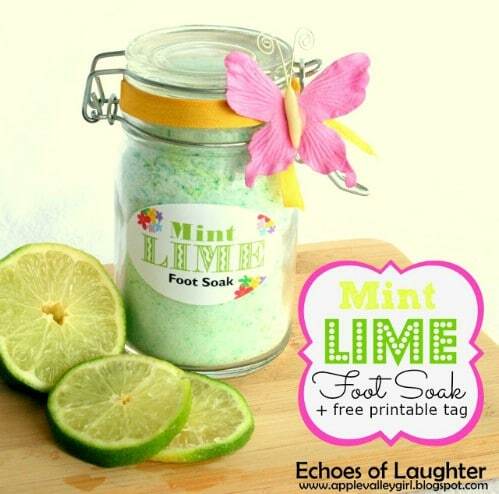 Mom won’t hesitate at all to show off her toes after a subLIME treatment with this mint lime foot soak. I love this idea for a twist on giving Mom flowers for Mother’s Day. 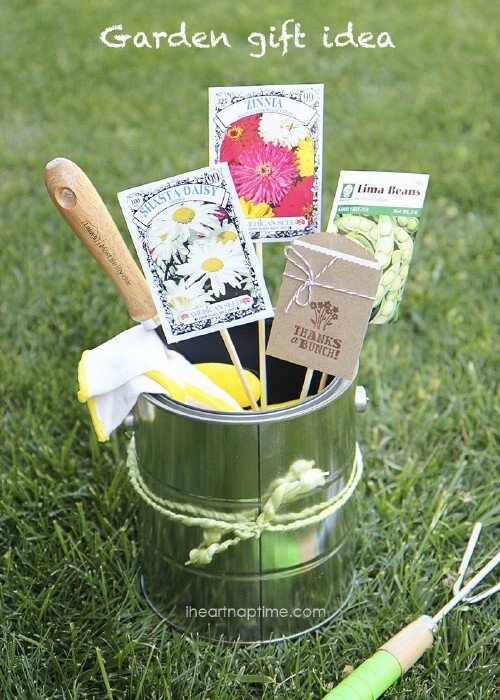 Let her grow her own flowers, plants, or herbs by simply filling a bucket or pail with new gloves, seeds, and any kind of gardening tools. Idea from I Heart Naptime. Bring the benefits of a facial to Mom without the expense or hassle. 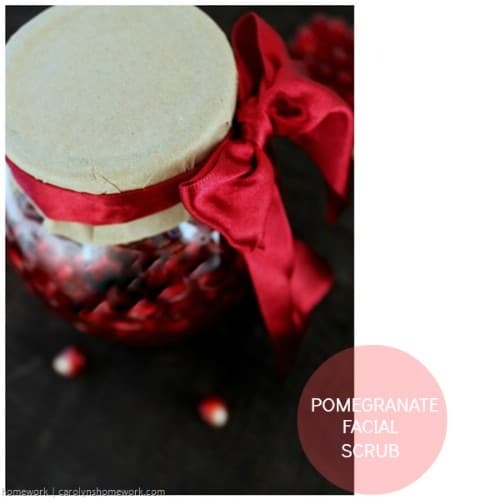 Instead, make your own natural Pomegranate Facial Scrub that’s packed with antioxidants and age-defying nutrients. Mom will love feeling pampered without having to leave the convenience of her own bathroom. Tea towels are another of those few household accessories I feel like you can never go wrong giving as a gift. 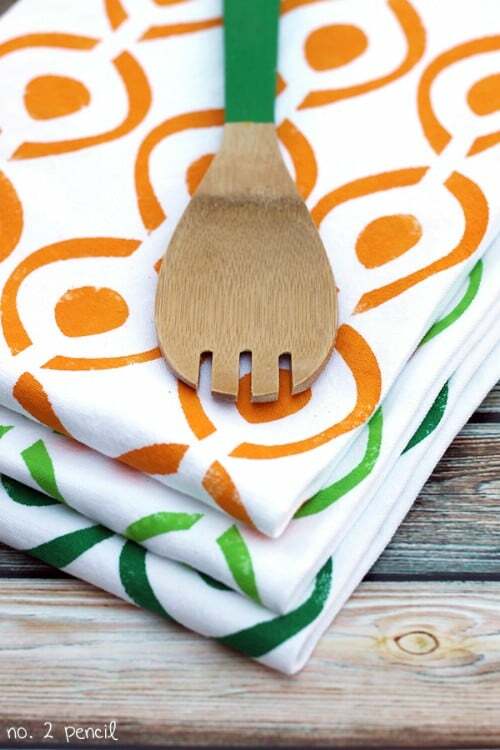 Add some color, style, and/or festive flair to Mom’s kitchen with these stencil tea towels. Find the tutorial from Number-2-Pencil. Warm Mom’s sore muscles AND her heart with a homemade heating pad. 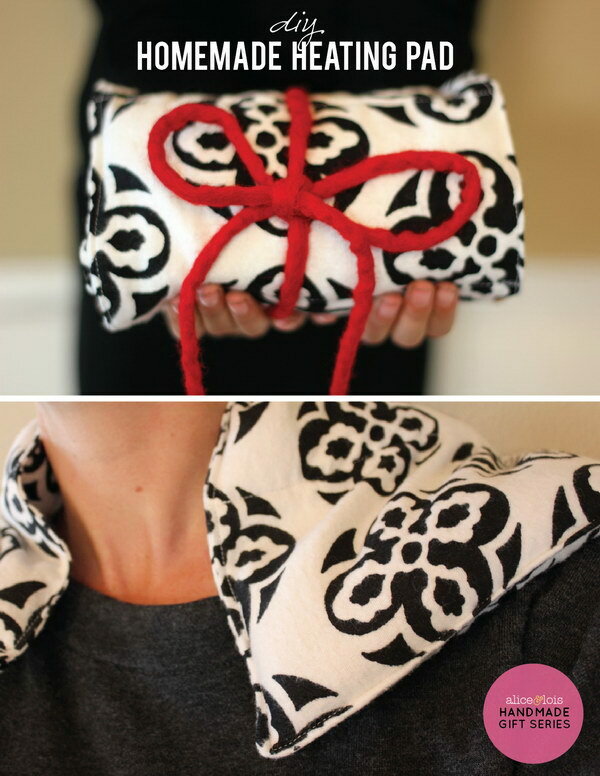 You don’t have to be a skilled seamstress to make this simple Alice & Lois DIY project. Give Mom a gift that reminds her how much you love her every time she snuggles down with a warm drink. Let the kids each make one too for a little matching set. Directions and tips from Gimme Some Oven. One of my favorite gifts to this day was a fleece blanket given to me by a friend. Easy and inexpensive for her but the carefully selected pattern made it such a treasure for me. Make Mom her own perfect no-sew fleece blanket and she’s sure to be wrapped with love for Mother’s Day. A Girl and a Gluegun provides DIY instructions here.